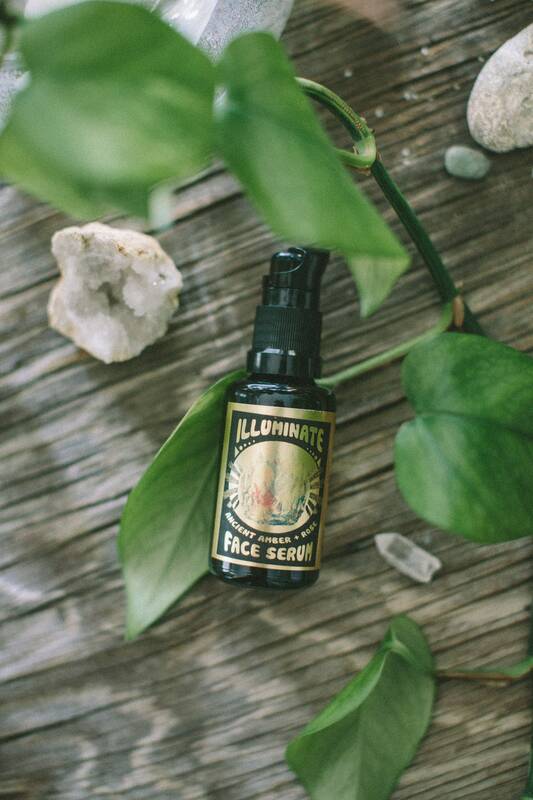 Illuminate Face Serum -with ancient amber resin, baobab and rose otto. Packed with anti-oxidants, vitamin c, minerals and vitamins your face will gratefully drink up!! Baobab oil comes from a tree in Africa that contains more vitamin c than any other fruit on Earth and super high in rare fatty acids. Not only is this a supremely hydrating, nourishing and softening serum, it is an experience for your senses with warm earthy ancient amber resin and intoxicating rose, the aroma is divine. A blend of organic sunflower oil, organic olive oil, baobab oil, amber resin and rose otto. Highly concentrated goodness, no fillers, no synthetics. Use daily, day or night. Massage into clean face and neck.